Hey dudes and dudettes! This is Alex here and I have a treat for you!!! My friend Emily and I had this awesome burger feast! We made these burgers from Isa Mokowitz's Post Punk Kitchen website, then made a ton of random stuff to go with it (Vegan Cole Slaw, Vegan Pesto, and this random sweet pepper spread)! The two pies from the previous post were actually the dessert that we had made for this dinner. Just as a little warning all of this was about 3 ish hours of cooking and baking, but the tasty pay off in the end is well worth the wait and the effort (...Drool...)! Fennel Corn Muffins with Golden Raisins! Yum! Hey guys, Ariel here! Long time no see! Writing again from a ways away, in New Zealand! Good ol' Ammerry-can (Blueberry) Pie~! When I was at my parents’ house in Seattle, I was able to have meals cooked for me which was a luxury that I had not experienced in a long time! Not only that but since turning vegan my parents have taken to eating less meat and dairy and treating them both as a condiments than a center piece of a meal (much to the dismay of my carnivorous brother (~^_^)~). Also! We have this awesome outdoor kitchen with which to cook Chinese food! It’s able to fit a full sized wok and spits out 65,000 btus (One needs really high heat to cook Chinese food well)! Given these three facts I then noticed that a lot of the dishes that my parents were cook for dinner turned out to vegan Chinese food (since Chinese food does not have any dairy)! So here is the first installment of “Woking” with the Looi’s! For all of the cooking that I’m about to show you don’t need a GIANT wok or 65,000 btus of POWER! A sauté pan on a regular stove top will do just fine. This is my absolute favoriteee basic pancake recipe. It uses mashed banana in place of an egg, giving the pancakes a nice flavor and a little sweetness. Adapted from Molly’s Tarte tatin, which in turn was adapted from The Joy of Cooking cookbook! 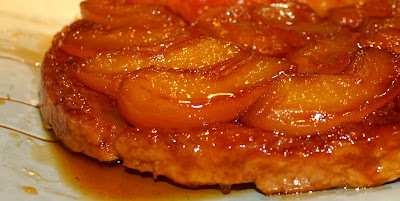 Tarte tatin is an awesome dessert! My parents use to make it all the time, and is a favorite dessert of mine! Also, I love the complex simplicity of french desserts like tarte tatin. When you look at the ingredients of tarte tatin you will see that it's made of relatively simple ingredients. But! when they all come together, and are cooked in the right way they create a truly wonderful work of art that is pleasurable to one's sight, smell, and above all taste! Tabbouleh is a traditional middle eastern salad made with bulgur, tomatoes, some spices and lots and lots of parsley! It's served in a deliciously refreshing lemon and olive oil dressing. Easy, yummy, and healthy! Vegan Philly Faux "Cheese Steak" Sandwiches! Hey Kids! 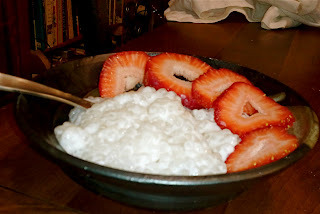 So finally come the awesome recipe that first drove me to start this blog (blarg)! After months of waiting it is finally here! I dunno why it took me so long to make/post this...\(@_@\). Actually I got so excited about making this for my family that I forgot to add a crucial ingredient--Mushrooms! But this is just as good! Also about a week and a half after making this I was in Brooklyn, and I was a vegan sandwich shop which also had their own version of philly "cheese steak" sandwiches, but I shall be blarging about that later! It's Aliveeee! Sprouts Edition, Part IV! Hey everyone! I am pleased to present to you the fourth and final post of It's Aliveeee! Sprouts Edition! It's Aliveeee! Sprouts Edition, Part III! Ahh! Hey everyone! This is the third installment of It's Aliveeee! Sprouts Edition! The first two can be found here and here! It's now been ~2 days since we started, so the beans/lentils have been soaked overnight, then rinsed and drained and let sit in a cool dark place, and rinsed twice (well, theoretically. Actually, only once! I forgot about them, oops!). And woah! It's a sproutsplosion! They really took off (despite my neglect) and are growing magnificently. Hey guys! Welcome to the second episode of It's Aliveeee! Sprouts Edition!! It's been about ~16 hours since I started the sprouts - I rinsed them and soaked them overnight (see the first post, here!). They've expanded a lot! Step 2: Drain the seeds thoroughly, and rinse well with cold water. I like to shake them around in cold water in the jar to make sure they get rinsed well. Drain as much of the water out as you can (try not to have any pooled at the bottom when the jar is upright), and cover the jar with a small piece of thin cloth or mesh. You can secure it with a rubber-band if you like, but I didn't bother with mine. Vanilla Swiss Almond Ice Cream and... It's Aliveeee! Sprouts are a great way to eat beans and legumes (and even grains!) without having to cook them. They're also a raw and live food, which many people believe are extra healthy. They're also packed with protein, fiber, and vitamins - even more than the original seeds before the sprouting process. Despite being relatively expensive in stores, sprouting seeds is pretty darned easy to do at home, and the ingredients and materials are really cheap! All you need are some whole dried beans, lentils, or grains, a few glass jars, some cloth or mesh, and water. Chocolate Raspberry (Or Strawberry) Pecan Tart! This is a recipe that I first tasted during a party that my boss from work posted, and I fell immediately in love it! It's from Bon Appetit, and is not inherently vegan (BUM BUM BUM \(@_@\)!!!!!). But don't worry! We tweaked it so it is! Also, I ran into another problem with the recipe...which called for ripe, un-moldy raspberries...(how was I suppose to know?!?) (-_-#). But my grandmother suggested I use strawberries instead, and it turned out well (or even better)!!! So here it is!! A few weeks ago we were faced with the ever pressing moving-out-of-college-apartment, gotta-empty-out-the-freezer conundrum! To help get rid of all of our food, we decided to cook up a huge vegan feast and try to use up anything that needed using. Among those freezer goods were frozen spinach and half a pack of phyllo dough, mmm! The rest of the phyllo dough had gone to an impromptu strawberry-peach-mango tarte (mmm...), so we decided to try something dinnerly with the rest! And thus spanakopita made its appearance as an appetizer ! This is a recipe taken from Vegan with a Vengeance by Isa Chandra Moskowitz! This an awesome recipe (with a couple of tweaks and suggestions of our own ~(^_^~) )! After being introduced to coconut tapioca pudding by a friend a few weeks ago (hi Gaelyn! ), I immediately fell in love and became somewhat obsessed with it. It’s quick and easy to make, has only a few (inexpensive) ingredients, and is sooooo delicious! Seriously. Amazingly delicious. Tapioca pudding in all its splendor. Mochi is a naturally vegan desert which I’m pretty sure originated from Japan (although I’m not entirely sure...if you ask other Asians they’ll tell you they came up with mochi @_@, whatever…lol). It usually consists of a chewy outside with a nice sweet filling, an Asian jelly doughnut if you will (not really, they are actually completely different). The word mochi refers to the chewy outside which is made of glutinous rice flour. Traditionally,making mochi requires a lot of back breaking work, pounding of rice with a large wooden hammer, and patience; none of which I have at the moment so we’ll take a short cut! Sesame filled (and covered!) mochi! A Recipe: Walnut-Crusted French Toast! Hi guys! Ariel here! Welcome again to the “blarg”! Hope you enjoy our very first recipe post! Whenever I'm back home, french toast for breakfast is in high demand. My little sister, who especially loves french toast, was sick (oh no!) so I decided to make a snazzed up version to cheer her up! We had some chopped walnuts lying around nearby, so I took walnut-crusted french toast for a test run... and it turned out great! Hello! This is our first blog post! Ariel and I (Alex) would like to cordially invite you to our vegan blarg (blog)! Here we will be posting both found and made up recipes, and critiques of foods we've encountered! If you have recipes that you think we should try out don't hesitate to post here or e-mail us! (~^_^)~ Also, I think you should get to know our taste tester Fiddlesticks! 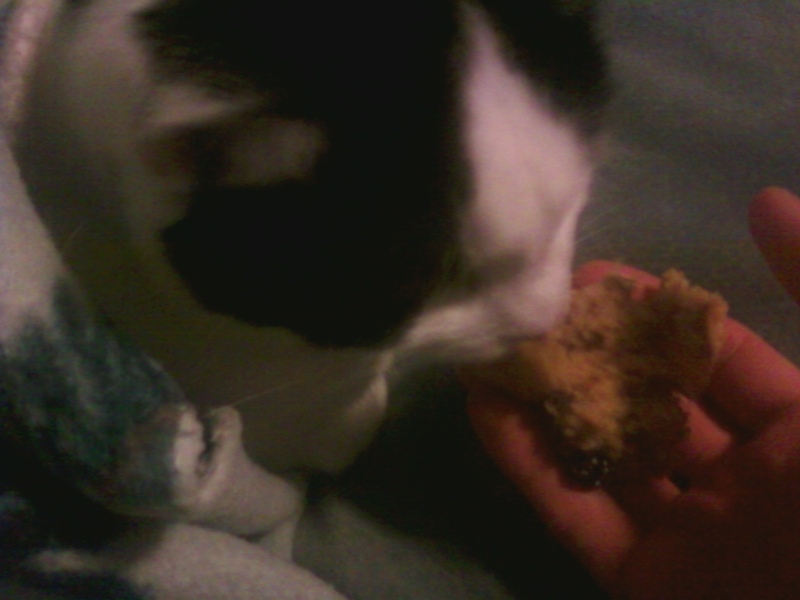 Fiddlesticks taste testing a muffin!